A free America, democratic in the sense that our forefathers intended it to be, means just this: individual freedom for all, rich or poor, or else this system of government we call democracy is only an expedient to enslave man to the machine and make him like it. Architectural features of true democratic ground-freedom would rise naturally from topography, which means that buildings would all take on the nature and character of the ground on which in endless variety they would stand and be component part. 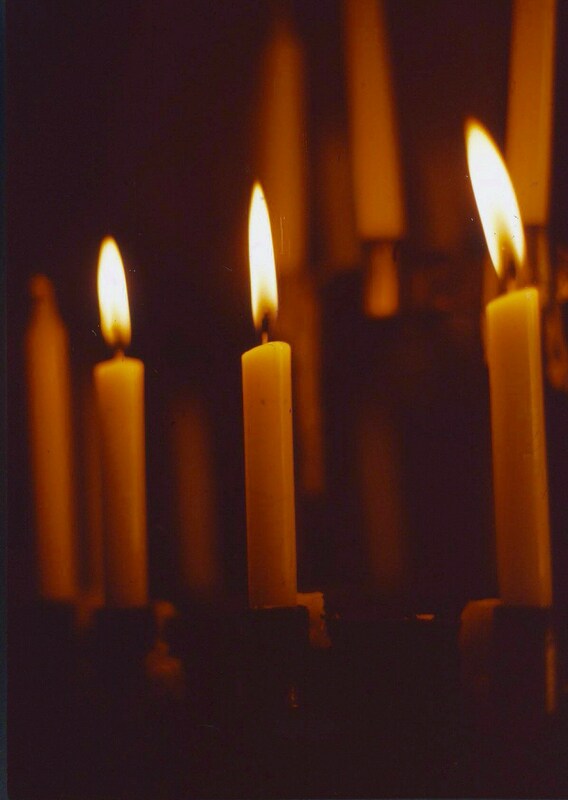 Created for the weekly photo challenge Masterpiece . . . a work of art or object that speaks to you; or even a location or scene that’s special, unusual, or even magical in some way. Beautiful! Definitely “on my list” of places to tour. 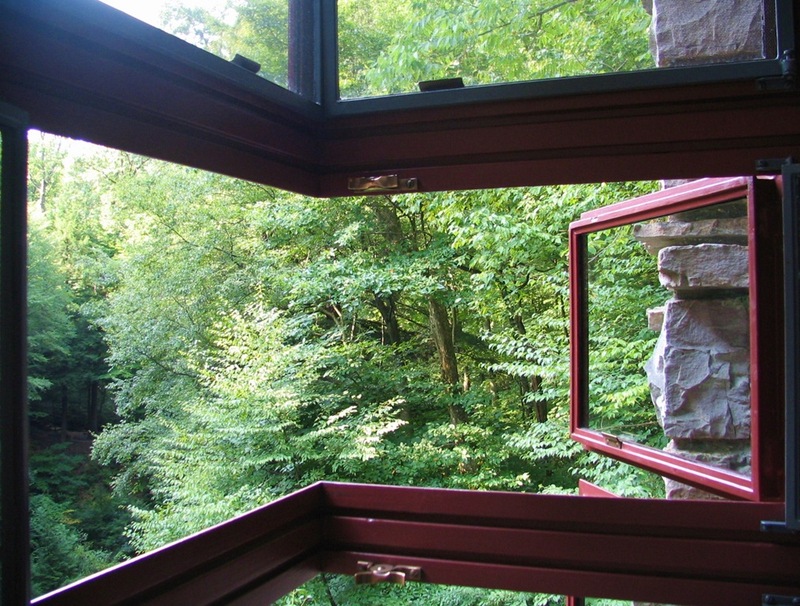 Taliesen East – frank llyoyd wright’s home in spring green – that would be awesome to live so close! Right – Taliesen, near Spring Green. 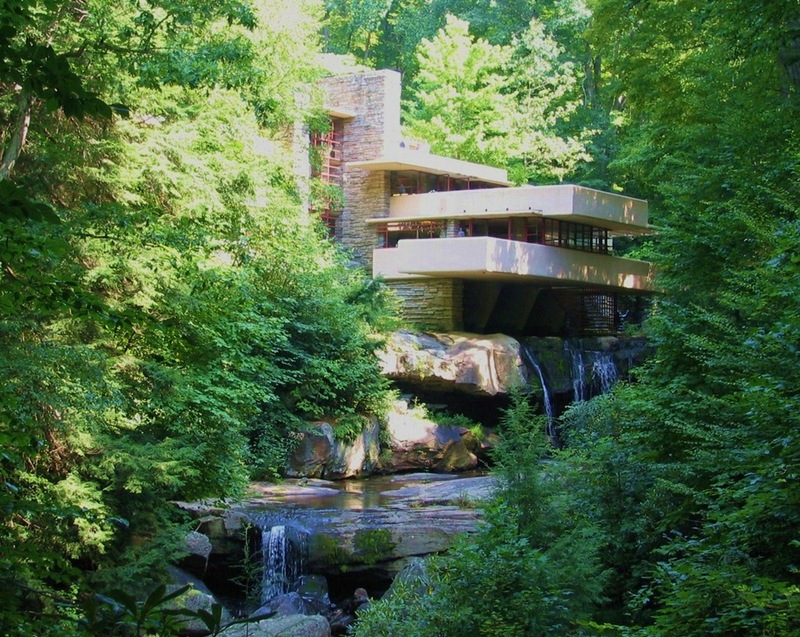 House in the Rock was built 40 year later in 1959 by a different architect. 2 different homes. 🙂 It is neat to have a connection and memories form years gone by. 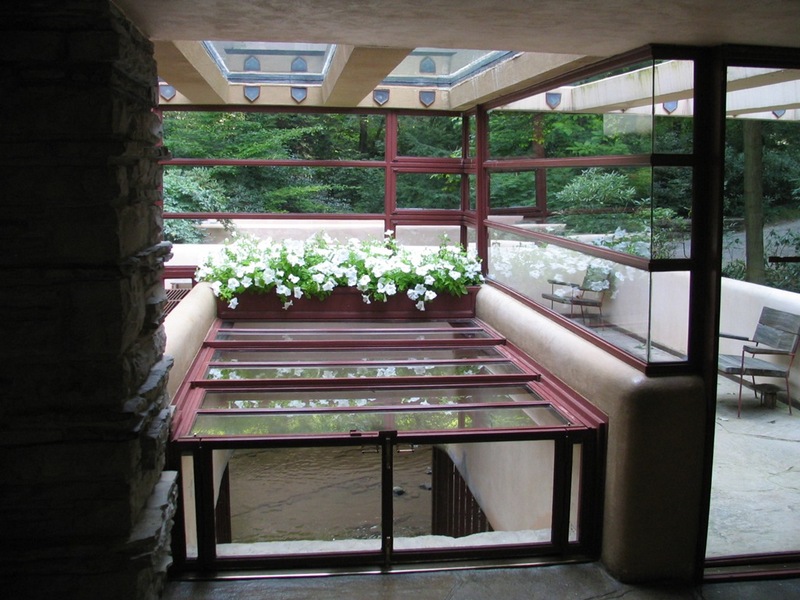 Beautiful pictures of Fallingwater, Bruce. You’re right in that some of my pictures look similar to yours, but don’t worry, I didn’t borrow yours! 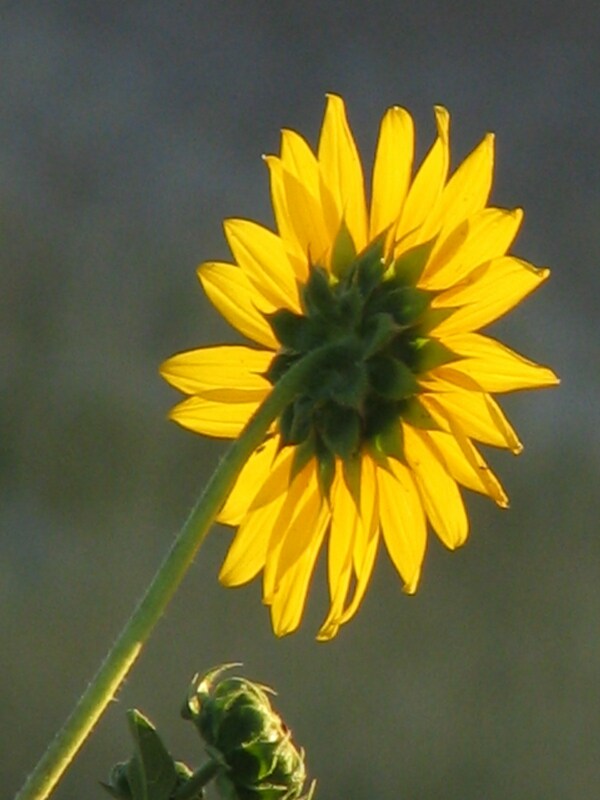 My photos are all mine and my post was done in August 2012. 🙂 what I do want to know is how you took pictures inside? 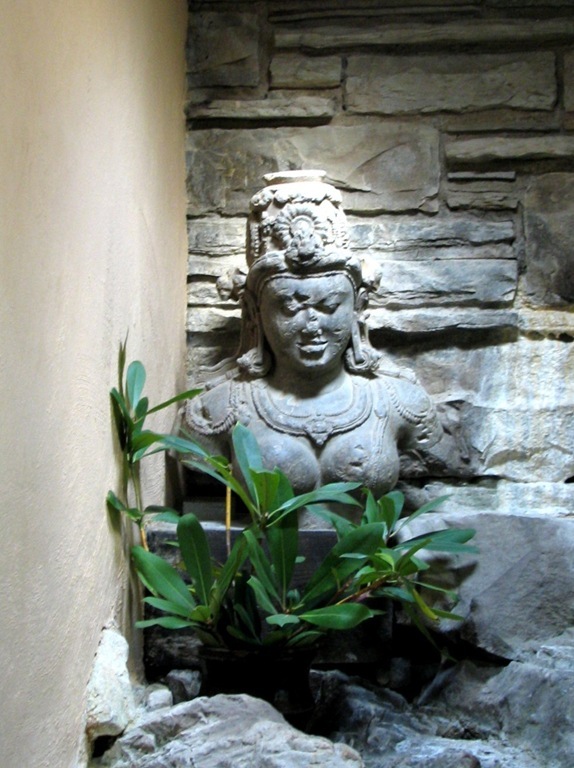 When I was there, the guide was insistent that no pictures could be taken inside the house! 🙂 nice post for masterpiece. My wife francis and I visited in 2005. If I recall correctly, we paid extra for a tour that allowed photos – or it may be possible that they have changed the policy. 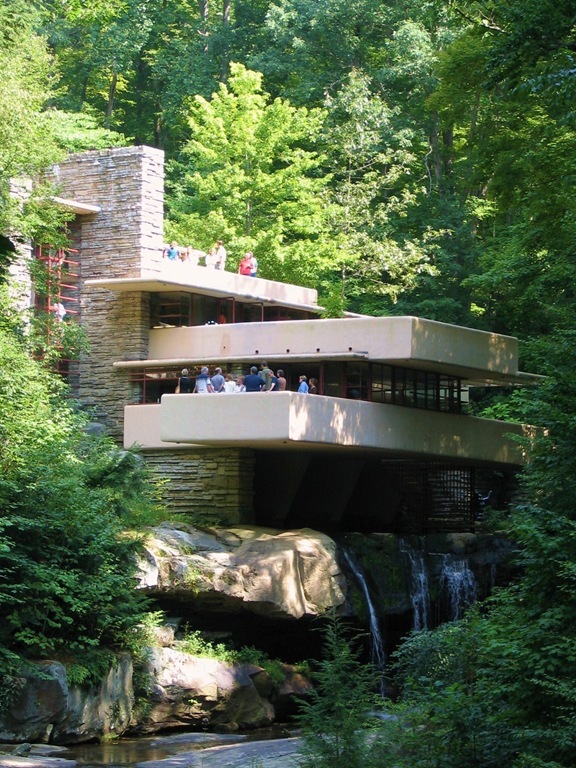 It’s funny how my memory fails me at times 🙂 Visiting Fallingwater was the first FLW building we ever visited, and it was a dream of my life that came true. It was like an archtectural Mecca for me. 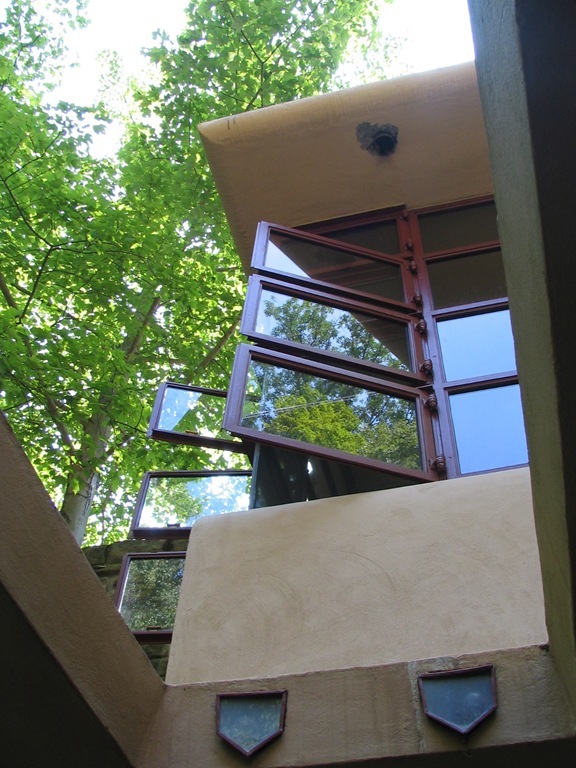 In your post, I loved your diverse viewpoints that showed much more clearly the amazing concrete cantilevers and the interior staircase down to bear run waterfall. Oh yes, Bruce, I think I did hear of the tour where you can pay more to take pictures inside. Good for you that you did that. I was sorry that I couldn’t take interior photos. Thanks so much for showing a link to my post. I don’t have nearly as many pictures on that post as you do, but I have plenty more on my computer. It seems I’m a picture-taking fiend! 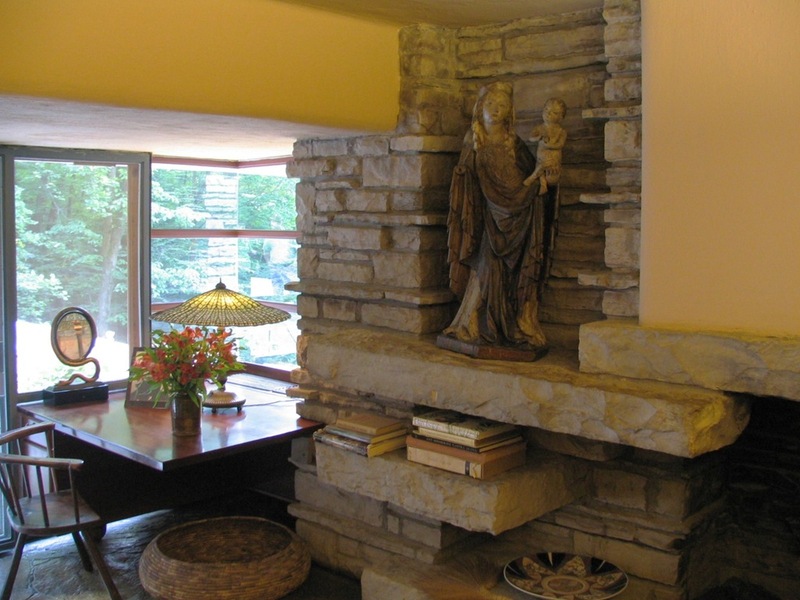 I’ve always admired Frank Lloyd Wright’s work. I didn’t know he had such interesting things to say about gov’t. and nature! Thanks for sharing not only his architecture, but his words!! Your welcome Tanya. You probably know FLW was not afraid to speak his mind, and his writings have as much depth and breadth and vision as his architecture. Alas, he was greatly misunderstood as an elitist. 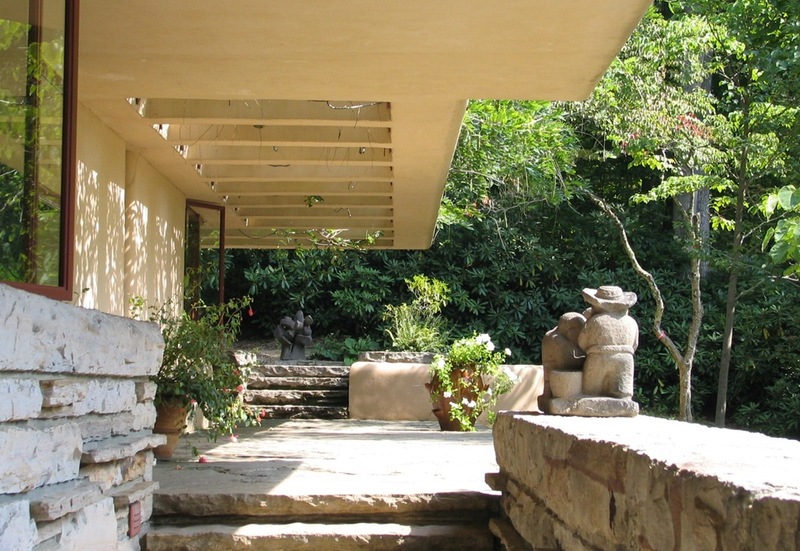 His Usonian style homes where small, human scaled and designed to be lived in by average citizens. And when television was introduced he called it ‘bubblegum for the mind’. I bet you hollywood didn’t appreciate that! Lovely. Thanks for posting this. I hope they don’t frack this watershed; that would make such a house uninhabitable. Or have an oil pipeline burst, like in other places in PA. O well… glad it’s good for now! 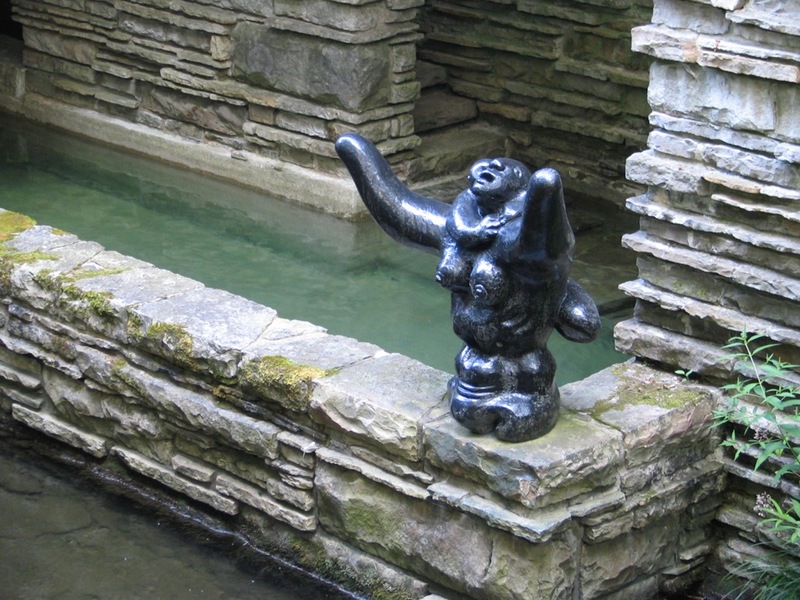 This post reminds me of the wonderful time we spent at Falling Water fulfilling a wish to see this place before we die. 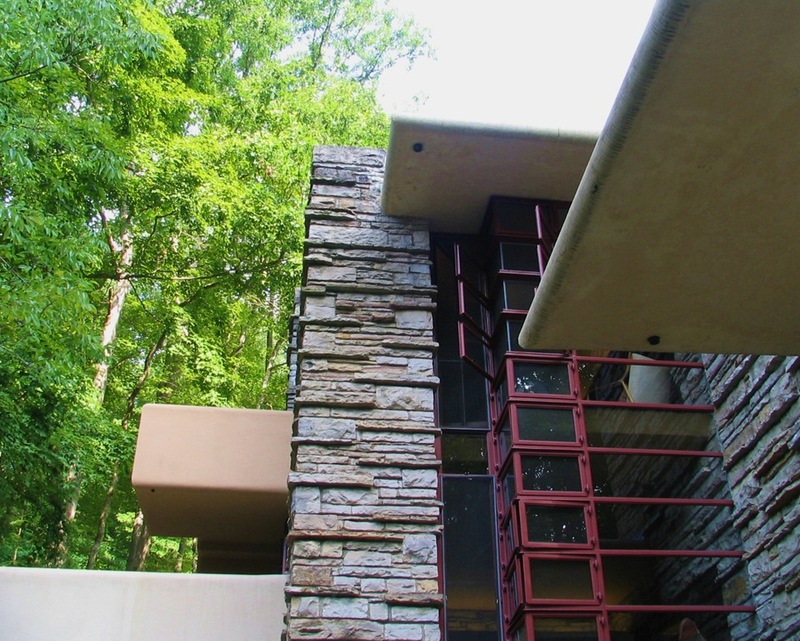 Hopefully we will be able to check out a few more FLW masterpieces in the time we have left.